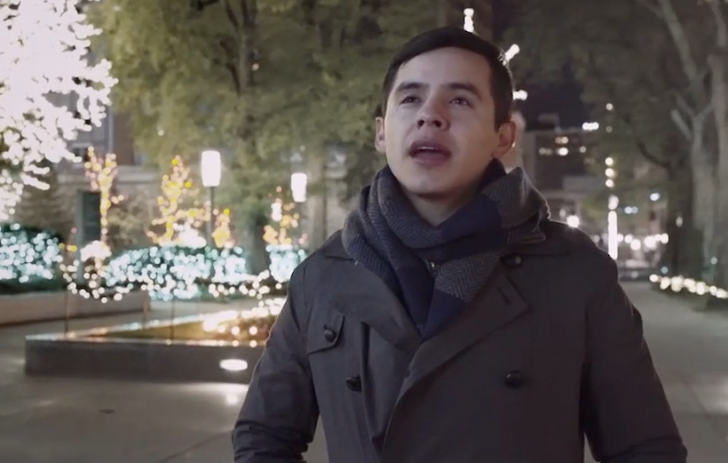 David Archuleta released a new music video with an original song “My Little Prayer”, Thursday for the #LIGHTtheWORLD campaign. He wrote on Facebook of the rare circumstances under which he wrote this song. “As I was having this conversation in music with God, He told me to get up and write this down. I thought and said, “…but… I’m sleeping. I’m not sure I know how to get up from a dream!” He told me “if you don’t get up now, you’ll forget it in the morning.” I tried everything I could to wake up, and I did! There in the middle of the night I went straight to the piano with the words and melody I had spoken in my dream still clear in my head, and wrote it all down. It was the fastest I had ever written a song because I feel this one was given to me. Archuleta released this song for the eighth day of The Church of Jesus Christ of Latter-day Saints #LIGHTtheWORLD campaign which is Jesus Prayer for Others and So Can You. I watched this video when it was first released. And all day today, I've had this simple melody going through my head. I'm truly touched by it! Great words and having always David's beautiful voice.